Lost in history. Such has been the fate of the inexhaustible and meticulous classicist/philologist Alice Kober whose devotion to and breakthrough in translating Linear B, the cuneiform Minoan language found on tablets at Knossos, is glimpsed in her unpublished monograph The Element –Inth in Greek. Kober died unrecognized at age forty-three, the same age as Ingrid Laurie, the divorced Scottish academic at the heart of Alison Fell’s new book with the same title, who has embarked on Kober’s biography and is visiting Crete for research purposes. Thus fact meets fiction in this genre-busting mix of biography and storytelling, for Alice Kober was a real figure whose heroic efforts to comprehend Minoan were largely eclipsed by a male scholar’s breakthrough two years after her untimely death. The substantial, intelligent, compelling story that Fell wraps around the facts not only pays homage to Kober’s life and work but delivers considerably more: a love story, a detective mystery and a multi-faceted consideration of gender, family and the past. When a man’s bloated body, killed by bee-stings, coated with honey and containing narcotics in the stomach, is found in a Cretan olive grove, handsome, widowed local police sergeant Yiannis Stephanoudakis takes up the case. Soulful, with a cat named Terpsikore and a taste for nouvelle vague European movies, Yiannis makes a suitable romantic foil for Ingrid’s free-spirited, cerebral yet sensual heroine, their relationship adding a pleasingly accessible dimension to the denser layers of research and scholarship. Comparisons with A.S. Byatt’s Possession, the Booker-Prize-winning 1990 novel, subtitled A Romance but also a pursuit of knowledge steeped in academe and storytelling, seem inevitable. In Fell’s book, the historical, philological and biographical material is similarly delivered with conviction and a degree of passion. The account of Kober’s struggles to achieve her work, her relationships with others in the field and her milieu suggest she is indeed lost from view and worthy of reconsideration. Fell’s book brims over with issues – feminism, anthropology, Greek History and language. The body in the orchard turns out to be an Albanian student with a complex thesis of his own devoted to ‘redefining masculinity in the prehistoric Aegean’. And let’s not forget love and desire; and bees, whose role is part of a ritualistic mystery involving the essence of the mitochondrial line. Possibly verging on the overstuffed, and burdened with an unwieldy title, this genre mash-up is nonetheless something of a triumph. 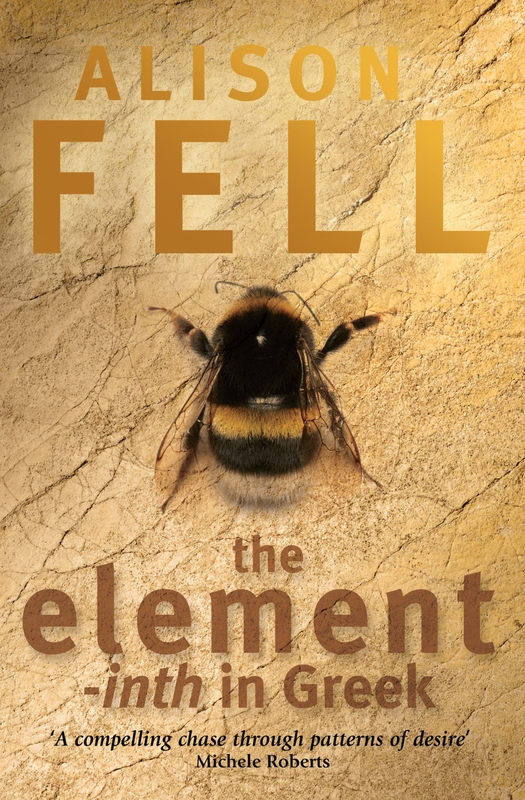 A writer and poet of long experience and achievement, Fell marshalls her material impressively and delivers it in a distilled, take-no-prisoners voice that calls for the reader’s full attention and then rewards it. This is a mature, shrewd piece of work appealing simultaneously to head and heart. 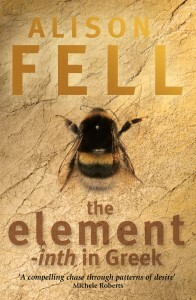 It may be Fell’s best book yet and certainly deserves to be her most successful. Orange Prize judges, take note.